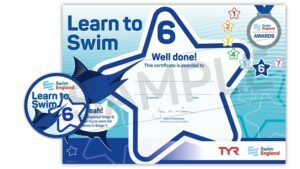 Diamond 6 is a progression from Diamond 6 and is just one part of the Diamond Swim Academy pathway which is a all inclusive programme where swimmers will work on skills and technique and takes the non swimmer from his or her first splash to developing confidence and competence in the water. The swimmers will learn basic safety awareness and water confidence through to quality stroke technique and a variety of water skills. In Diamond 6 the focus is swimming full stroke on all four strokes to the required standard, whilst also concentrating on key body movements and breathing. Water Safety features heavily in Diamond 6. Diamond 6 swimmers will work to achieving a number of outcomes, some of which will be recognised by Awards. An Award is made up of a badge and a certificate. 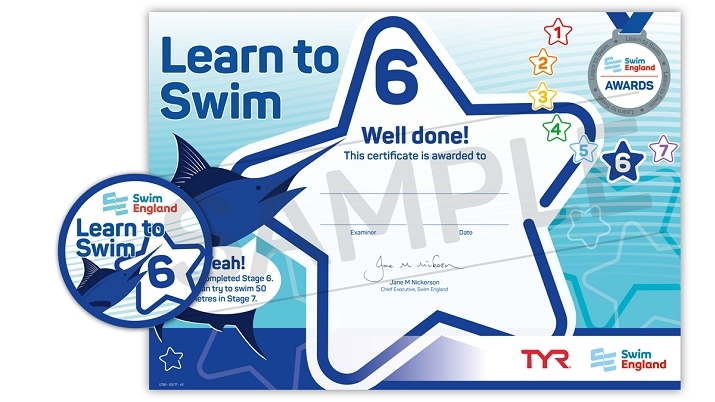 For Diamond 6 swimmer this includes the Swim England Stage 6 Award. It is also important that the swimmers gain the skills and technique on all strokes throughout their time at Diamond Swim Academy and will, therefore, also work towards achieving the most appropriate Swim England Distance and Swim England Stroke Awards within Diamond 6. Give two examples of how to prepare for exercise and understand why it.is important.